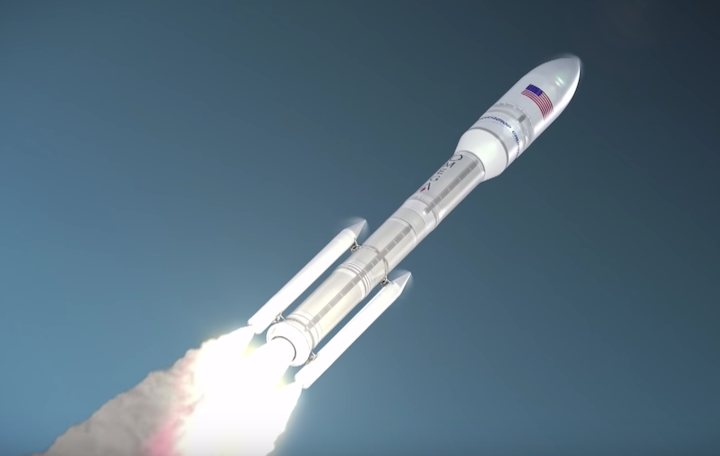 With an Air Force development contract secured for the OmegA rocket, Northrop Grumman Innovation Systems has provided NASASpaceflight with an update on their primarily solid rocket fueled medium- and heavy-lift rocket that is expected to begin a four flight test program from the Kennedy Space Center and LC-39B in 2021. 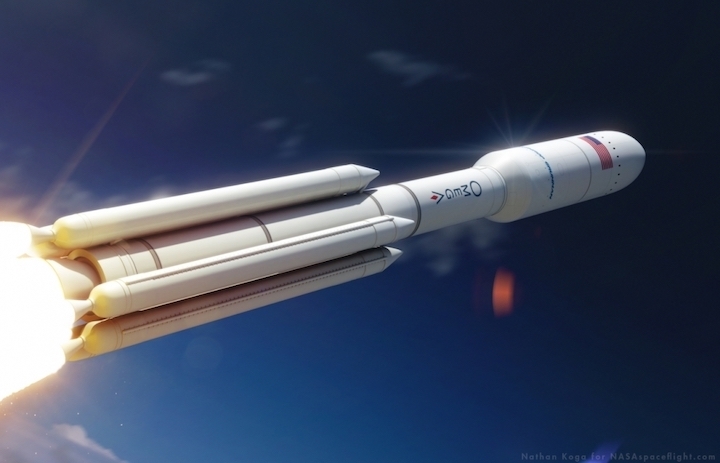 As part of this update, NGIS talked about the synergy the company sees between the solid propulsion Common Booster Segments (CBSs) under development for OmegA and the Solid Rocket Boosters (SRBs) that will eventually be needed for NASA’s Space Launch System (SLS) rocket. In all, Northrop Grumman Innovation Systems (NGIS) received $792 million in federal funding from the Air Force to continue development of their OmegA launcher family – though a vast majority of the groundwork for OmegA occurred with internal funding by NGIS, then Orbital ATK, before U.S. Air Force funding was confirmed last month. 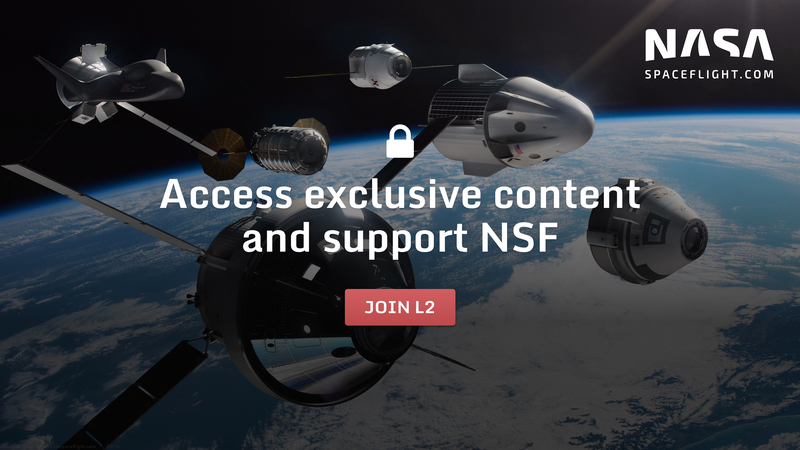 “We started working on OmegA about three years ago as part of the RPS – the Rocket Propulsion System development activity,” said Mike Laidley, Vice President of Space Launch Program for NGIS in an exclusive interview with NASASpaceflight. “That was the RD-180 replacement effort to develop solid propulsion options for the U.S. government national security launches. With the Air Force contract secured and funding for Phase 1 of the contract guaranteed, work will soon begin in earnest at the Kennedy Space Center in terms of needed infrastructure, stacking, and launch hardware builds and needs. As of August 2018, former Space Shuttle MLP (Mobile Launch Platform) #2 had been driven into VAB High Bay 2, one of the west-facing High Bays of the assembly building, in preparation for its reconfiguration efforts for OmegA. NGIS will contract significant modifications to MLP-2 to account for the different thrust and blast profiles the platform will experience during an OmegA liftoff compared to what it handled for the Space Shuttle. The new tower will also contain all of the fueling lines and systems for OmegA’s cryogenic third stage as well as the necessary height differentials (the Heavy variant is significantly taller than the Intermediate) for those systems to serve both the Intermediate and Heavy configurations, which will both launch from the same MLP and be serviced from the same OmegA tower. HB-2 of the VAB will also require reconfigurations to allow workers access to the OmegA tower and rocket during stacking operations. 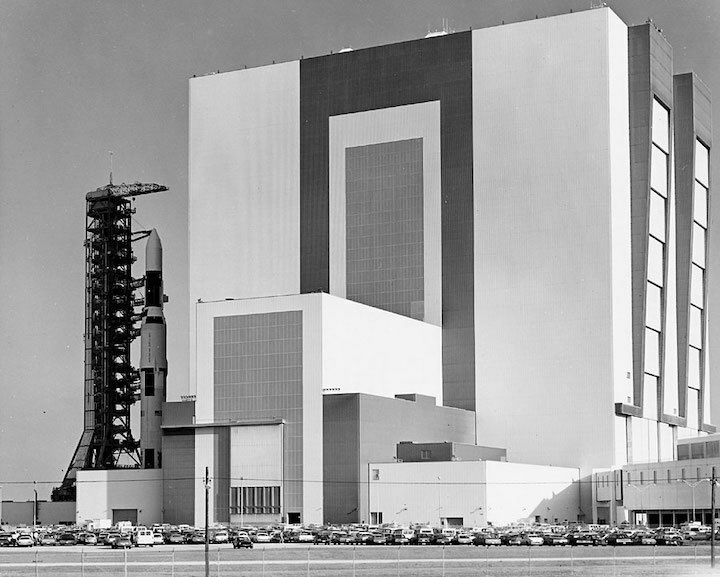 During the Apollo lunar program, VAB HB-2 was used to stack the Saturn V for Apollo 10 and Apollo-Skylab and to partially stack the Apollo 13 vehicle before it was rolled around to High Bay 1 for completion of stacking with the Apollo Command Module. During the entire 30+ year history of the Space Shuttle Program, VAB HB-2 was largely used for Space Shuttle Orbiter storage when an OPF was not available as well as for checkout of all the External Tanks that would be stacked with SRBs in HB-1 across the transfer aisle. In the late 1990s, HB-2 was partially reconfigured to serve as a storage location for a fully stacked Space Shuttle in the event that both of the east-facing stacking High Bays were occupied when the need to roll a Shuttle stack back from the launch pad for protection from tropical storms and hurricanes arose. During the entire tenure of the Shuttle Program, only one fully-stacked Shuttle ever occupied HB-2 – STS-106/Atlantis, which was rolled around the VAB from its east-facing stacking High Bay to HB-2 for fit checks before rolling out to the launch pad. With OmegA stacking operations set to occur in VAB HB-2, the iconic rocket nursery will, for the first time, be used by a commercial, publicly-traded company – with NASA sharing is cavernous building as the U.S. federal space agency uses HB-3 – catty-corner across the VAB – to stack its monstrous SLS (Space Launch System) rocket. But in this sharing lies synergy as NGIS supplies the SRB segments that will power SLS uphill during the first two minutes of flight. “We certainly see a lot of synergies between SLS and OmegA,” stated Mr. Laidley. “If you look at the solid motor booster segments that SLS is flying, those are more directly linked to the Shuttle era heritage. But there’s certainly a lot of synergy there with our own CBS elements [for OmegA]. “And there’s a lot of benefit to NASA from a cost perspective on SLS if OmegA goes forward, opens up the CBS production line, and ultimately continues to develop the CBS segments which could have a lot of cross utilization and technologies and manufacturing tooling and things like that between the two. Part of those benefits will involve using the same personnel who stack the SLS SRB segments to stack the OmegA booster segments as well as other NGIS employees at Kennedy who support SLS. 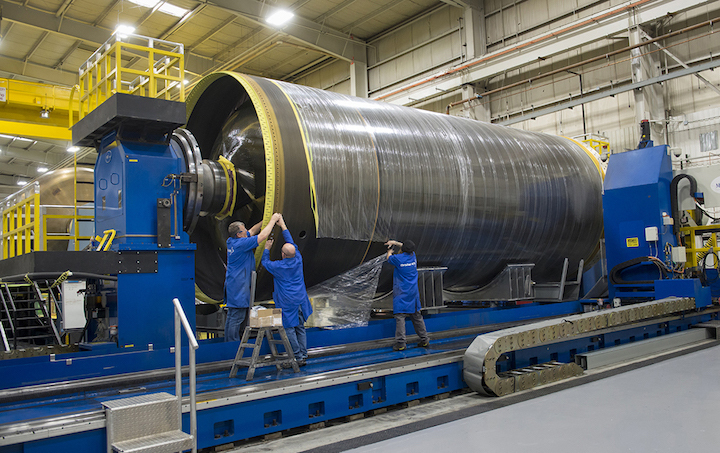 But another huge part of this synergy stems from the new, more efficient, and streamlined production of new booster casings and casting processes for OmegA compared to those used in the 1970s when the SLS booster segments were first designed for the Space Shuttle Program. “The Shuttle segmented design was really made for reusability. So those are steel cases, they’re big, and they’re heavy. And they were made to be recovered and cleaned up and reused,” said Mr. Laidley. 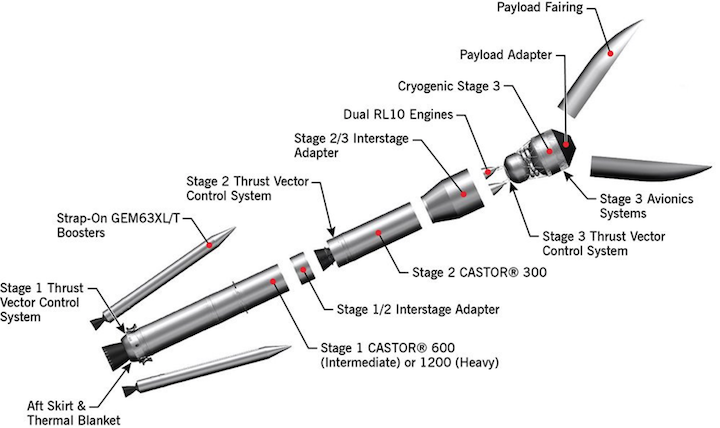 SLS will use up the existing Shuttle SRB casing inventory. Unlike Shuttle, SLS’s SRBs will not be recovered after launch – meaning NGIS will eventually run out of already-made SRB casings for SLS and will have to make new ones. Enter the potential synergy with OmegA and its Common Booster Segments, or CBSs. “What we’ve done [with OmegA’s CBSs] is we’ve turned [the booster casing] design into a composite, much lighter, much more efficient from a production perspective, case then what’s used in those large, heavy steel cases. So we can, through the use of some automated fiber placement tools and winding machines, produce segmented cases far more efficiently than what we could previously. “So these are our manufacturing process efficiencies that at some point could very well benefit SLS if they were able to adapt some of these. And there’s talk of that happening at some point in time. “So we think that this design we’ve put together for CBS will have a lot of synergy with what they’re going to need for SLS. And so again, we’ve focused here on developing a segmented case design that can be produced efficiently and that can be built for far less cost then what those heritage segments could. These new CBS boosters have been designed at NGIS’s Chandler, Arizona, facility and are currently being built at the company’s Promontory production and test facility in Utah. To date, seven CBS segments have already been wound, and one has been pressure tested to failure to verify computer modeling of the pressures the case segments can withstand. “Part of our case verification process is to load a case, fill it up with water, and pressurize it up until failure so we can verify our analytical models for the capability of the case and how the case grows and how the stresses are transferred in the case. Another one of those seven cases was filled with inert propellant to verify casting processes. Presently, NGIS is in the final stage of live propellant casting of another one of the segments that will be used as part of static fire testing next year. In April 2019, NGIS plans to static fire a C600 (two segments CBS booster for the Intermediate OmegA rocket) booster. That hold-down firing will result in a full-scale, full-throttle testing of the C600 for the first time – with the booster producing roughly 2.1 million lb of thrust over a 120 second, or 2 minute, burn time. Overall, the CBS boosters will have the same burn time as Shuttle and SLS SRBs because they are the same diameter – 12 feet – as the Shuttle-era boosters. However, the new CBS boosters are slightly longer than their Shuttle and SLS predecessors. “[The CBS segments] are a little bit longer, and they wind up being heavier at the segment size than what the Shuttle used to be because we put more prop in them because we wanted them to be a little bigger,” noted Mr. Laidley. After a successful C600 static firing, NGIS will proceed with OmegA’s second stage C300 booster’s hold-down firing test in August 2019. That will also last for a full-duration burn of 120 seconds, with the booster producing 900,000 lb of thrust. Unlike Shuttle and SLS, the OmegA’s CBS boosters will have an Autonomous Flight Termination System (AFTS) that will be shared across all of NGIS’s systems and vehicles – including Antares. “We are working on an Autonomous Flight Termination System design that we’re going to use across all of our product lines. So that is an in-house design that we’ve been working on for the past couple of years. It will wrap up qualification later this year, early next. “And that will eliminate the need for the command transmitters coming off of the Range sites and some of the radar requirements. And that’s kind of the next generation Range products we’re working on. As far as destructive ordinances, we’ve got various kinds of ordinances for the stages to support case cracking and things like that,” noted Mr. Laidley.